It's the day we like to call Pi day - March 14 or 3-14. The Greek number Pi starts with 3.14, so of course we had to have pie today. Of course. Right? 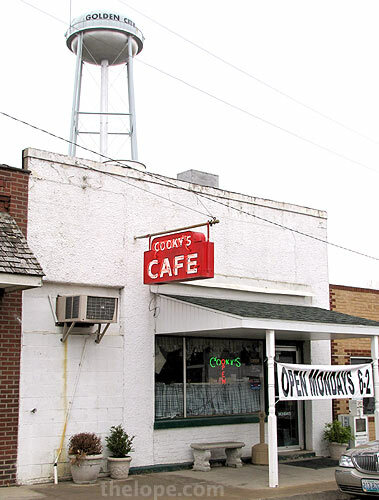 The scene of our caloric crime was Cooky's restaurant in Golden City, Missouri - in business since 1942. Mia, Patsy, my mom and I went. 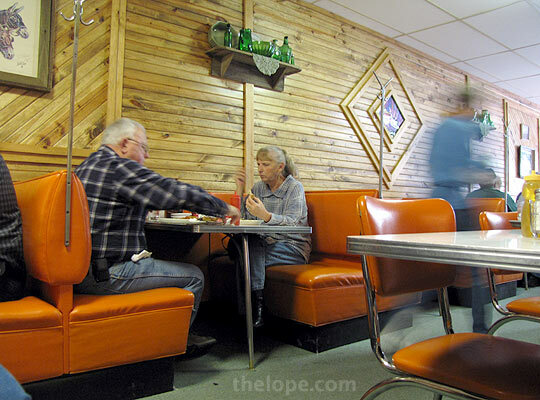 In a very long case at the front of the restaurant resided over a dozen pies. I'm told they can sell through as many as 100 pies a day sometimes. Ace poses with a my slice of Caribbean pumpkin pie (left). Instead of being made with milk, it is made with coconut milk. At right is a bit of Mia's Reese's pie, which tastes like Reese's peanut butter cups. We both gave them a good forks-up rating. 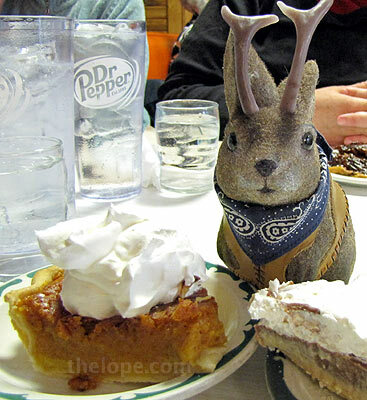 Patsy enjoyed her pecan pie and mom liked her Caribbean pumpkin, so that's a 4/4 rating on 3/14. 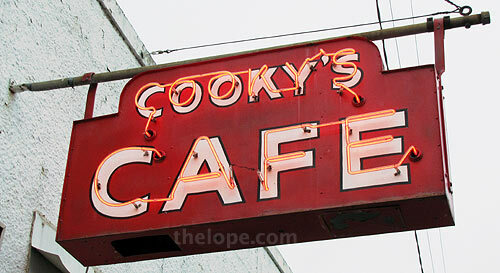 Cooky's features booths with metal coat hangers between. 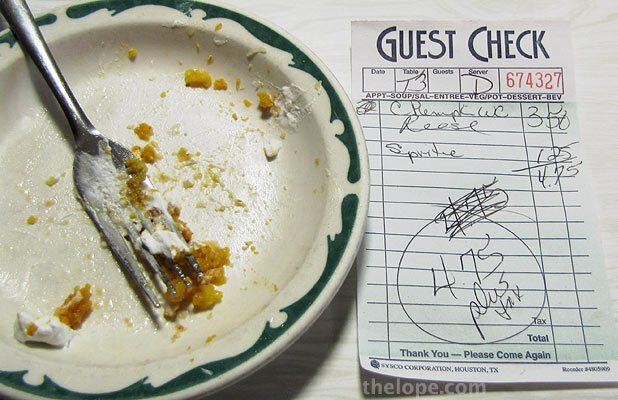 Two slices of pie and one soft drink cost only $4.75. Our Pi Day experience was good all around. See also last year's Pi Day.